I've been trying out a bunch of new hair products over the last few months and since my skincare routine was so well received, I figured I'd do a similar post on my current haircare routine! My hair falls somewhere between wavy and curly and is prone to frizz pretty much all year round. I've also had issues with hair falling out the last several years, strictly in the fall (apparently losing more hair that time of year is pretty common! ), so I also look for products that strengthen hair and encourage hair growth. I don't actually wash my hair everyday - more like every two or three days - but when I do, these are generally what I use. When I first reviewed them, I said they were too moisturizing for me for regular use, but with more testing, I discovered they work fantastically, as long as I scale back on how much conditioner I use. The shampoo itself is pretty hydrating, so my hair really only needs a tiny bit of the conditioner. Used this way, my curls get enough moisture without being weighed down and my scalp doesn't end up feeling greasy either. 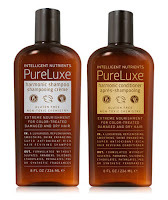 I'm a big fan of Intelligent Nutrients, but their shampoos and conditioners cost a bit more than I want to spend on products that get used up so quickly. Luckily my hair responds better to only using these occasionally anyways! The PureLuxe line was formulated for color-treated, damaged, and dry hair and is intensely moisturizing. I use them once every couple weeks (or more often if my hair starts to feel dry) and they leave my hair feeling extra soft and healthy. After I wash my hair, while it's still damp, I take one pump of Aura Cacia's argan oil and distribute it mainly on the ends, but working it up the hair a little too. I've noticed a big difference in the health of my hair since I started using this regularly, and it also works to control frizz. In fact, as long as it's fairly dry outside, I can get away with just using argan oil, without any other hair products, and my hair will stay virtually frizz-free all day long. This is a pretty new product in my routine, but it's become a fast favourite! After washing my hair and using the argan oil, most days I'll scrunch my hair with this mousse and let it air dry. It defines my curls and keeps them in place throughout the day, but doesn't leave them feeling crunchy or sticky. I'll also use it on second-day hair if my curls need perking up. This is a more occasional product for me. It's what I use on days when I want a little more hold than what the Yarok provides. It's a good all purpose gel and it smells lovely and fresh too, like a mix of peppermint and spearmint - the scent reminds me of gum, but in a good way! This is what I reach for on those occasional times when I straighten my hair. I don't notice a big difference on curly hair, but when my hair is straight, it does a great job controlling any flyaways and leaves my hair with a beautiful, healthy shine. It's oil-based, so you only want to use a little or else it will take you past shiny and straight to looking greasy. On an only slightly related note, one of the lovely things about Intelligent Nutrients is that they periodically ask for testers for new products and give out samples before they are released, in exchange for feedback. And I'm not talking about just to bloggers either - they'll post on Facebook and Twitter for all their fans/followers. That's how I was introduced to this product, and since I don't use it all that often, I'm actually still working through the generous sample they provided! This mask literally takes less than five minutes to mix up the recipe and another five to ten to apply it, but the combination of working (almost) full time and job hunting for something new means that I've been skipping it more often than not lately. Ideally I like to use this once every 2-3 weeks and I really need to get back in the habit of doing so. Seriously, my hair never looks as healthy as the first few days after I use it. I feel like I'm pretty low maintenance about my hair, so it's funny how many products ended up in this post! On a day-to-day basis, I just use the Acure shampoo and conditioner, argan oil, and Yarok mousse and I really don't spend much time doing my hair. Everything else is stuff I use much more irregularly, though they're all things I enjoy on occasion and that I'm glad to have in my cupboard. I've definitely been on a bit of a haircare kick lately, so I'd love to know: what are your favorite hair products? I've been using Andalou shampoo and conditioner for thinning hair. I really love it. It gives me more volume and smells like herbs. @Sarah - I guess everyone's hair is different. I haven't tried the Desert Essence but I know it gets rave reviewers from a lot of other green bloggers too! @Bambi - I actually like the smell, but if you don't like mint than I wouldn't recommend it! Most of the other products I've tried from them have more citrusy or lemongrassy scents. I haven't tried anything from Acure Organics but have read some good things about all of their products. Still using up my JM Zinc & Sage and Kiss My Face Whenever shampoo. Since my hair is pretty straight and flat, that's honestly all I use, no extra products but I think you'd really like the JM shampoo. 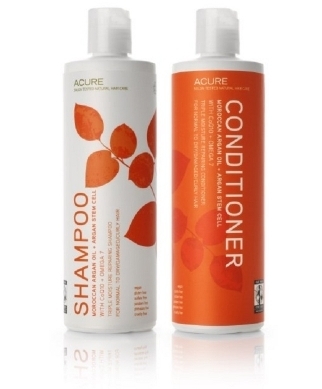 I wasn't a big fan of their leave in conditioner, but everything else I've tried from Acure has been lovely :) I've liked JM products in the past, I just manage to forget they're out there sometimes! wow! you do use quite a lot of products. I only use... shampoo? Haha. But I wash my hair everyday. It's hard not to in Singapore because it's always so hot and humid here. I know! Not sure how that happened, lol:) But in my defense, most of them I only use occasionally. Day to day it's just shampoo/conditioner, argan oil, and a little mousse for styling. I have been wanting to try some sort of Argan/Moroccan oil type of shampoo or conditioner on my hair as I have heard such good things about it but I tend to have oily hair so I wonder if this is a bad idea...perhaps using it once or twice a week may help. My scalp is sometimes prone to getting oily, but I really haven't had a problem with these, so long as I keep the conditioner to a minimum on my scalp. It's definitely worth a try once or twice a week! 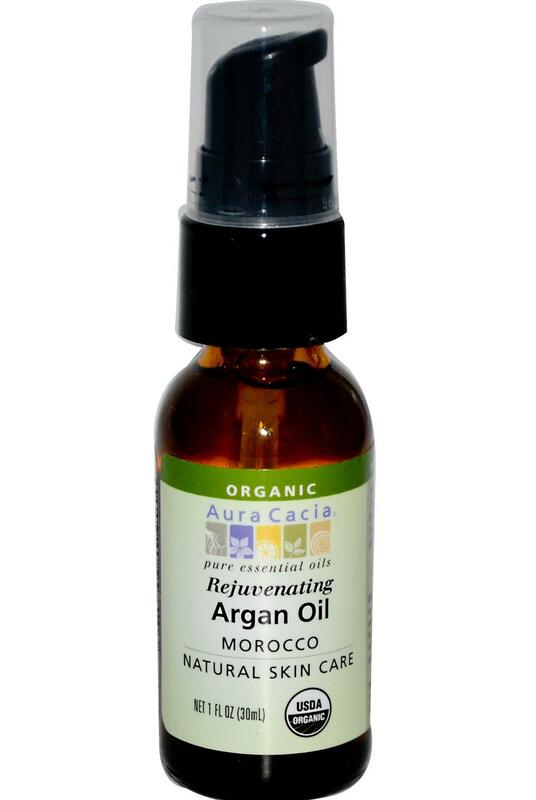 My hair is a lot healthier since I've been using the argan oil...you should definitely give it a try! And the Yarok mousse is a great product too. I recently finished off my mini size and had to invest in the large one, which is a good indicator of how much I like it!